Fripp Island is remote barrier island that serves as a popular vacation resort. Located in Beaufort County, its history is etched in common pirate lore and it is said that Blackbeard once buried his treasure there. 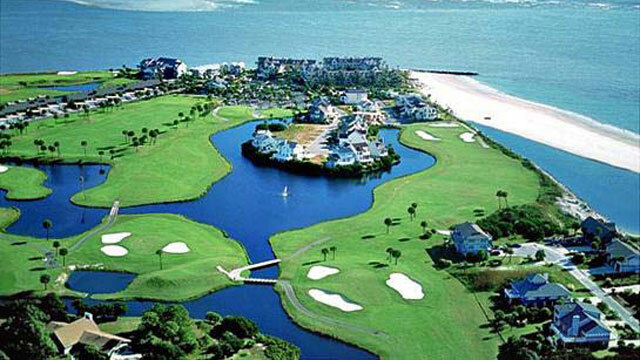 Fripp Island Golf and Beach resort prevents overcrowding of the island by limiting guest access so that parties can enjoy spectacular views without the commotion of saturated resort towns. Park your car and rent a golf cart for a week for the most efficient and unspoiled Fripp experience. This location is recognized as a certified Community Wildlife Habitat by the National Wildlife Federation. Fripp Island is home to over 175 species of birds, more than any other southern coastal island. In addition to the bird population, deer herds roam the woodlands and frolicking dolphins abound across coastal inlets. To top it off? Although rare to see, the hatching and journey of loggerhead sea turtles is one of the most intimate experiences on earth. Paddle surfing is a popular activity on the island, as well as sunset kayaking through the salt marshes. The location is home to highly esteemed golf courses similar to the neighboring islands including the Ocean Creek and Ocean Point courses. Unique activities on Fripp Island include crabbing, birding, and skiff rentals that often provide visitors views of dolphins strand feeding. The cuisine on Fripp Island is superb, with the Bonito Boathouse ranking as the most decadent restaurant. Fan-favorite she-crab soup can be enjoyed while overlooking the marina on one side and the island on the other. Not a crab enthusiast? Try your tastebuds on the Southern-style Shrimp and Grits. Fripp Island is connected by bridge to the famous Hunting Island State Park, a completely undeveloped island that makes for an additional day of exploration in the Carolina lowlands. Seeking a beachfront resort in a remote location teeming with wildlife and natural beauty? Fripp Island is the place to go.